Tales from the Duck and Cherry: Where do your tracks lead? The funniest little things can bring a smile on my face. 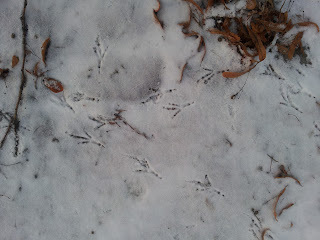 I love seeing bird prints in the snow. Those little pointed toes and the thought of how they have wandered around, exploring, looking for food, taking in the scenery.I don't know all the things little birds do when they walk on the ground. Some birds seem to enjoy walking, running, and jumping. And I like watching them. Outside Linnea and Michael's apartment the other day I took these two photos of bird tracks in the snow. In one area the bird had not really decided where to go and in the other place it clearly had a sense of direction. Whose tracks do you follow? Where do your own tracks lead? Is it important? I believe so and it matters to me. I have had many great examples to follow in my life and as I am a mother, a daughter, a wife, a friend, I take it seriously where I go -- and which tracks I leave behind me. 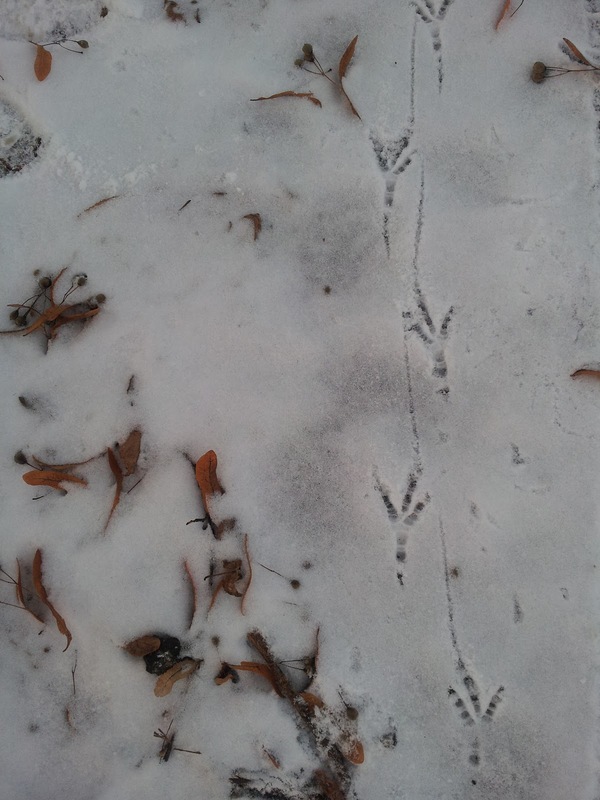 I would like to be like the bird with the determined foot prints going straight ahead, with goals and a purpose. I spend a lot of time going in circles, too - and it feels good to get a little further down the road.